Bengt knows the Åland archipelago better than anyone. He will show you some magnificent sightseeing you wouldn’t be able to see anywhere else in the world. Do you want to try something special? “Felicia” takes you out on the Åland Archipelago where you can experience the unspoiled nature with sea birds, large gray seal colonies or a trip to the exotic Märket lighthouse on the border between Åland and Sweden. All special arrangements are possible – just tell us what you really want to see and experience. Do you really want to experience something – ok, REALLY different? 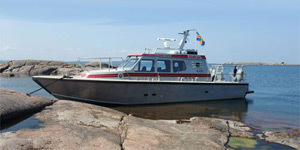 Come on board Felicia and see one of the largest seal communities in the Baltic Sea. We shall head up for the Märket lighthouse, just in front of Eckerö. Märket is situated at the Åland-Sweden border. The whole journey takes some 3 to 4 hours. You will have a chance to view a lot of virgin semi-arctic archipelago and many large seabird and seal colonies. We can also take a break and enjoy a nice lunch or dinner complete with a good choice of local drinks. We reserve a right to delay the excursion if the weather is too challenging. Dress code: All participants are equipped with life jackets. Also, dressing after weather – both beautiful and less beautiful. On the open sea the weather can change quickly. 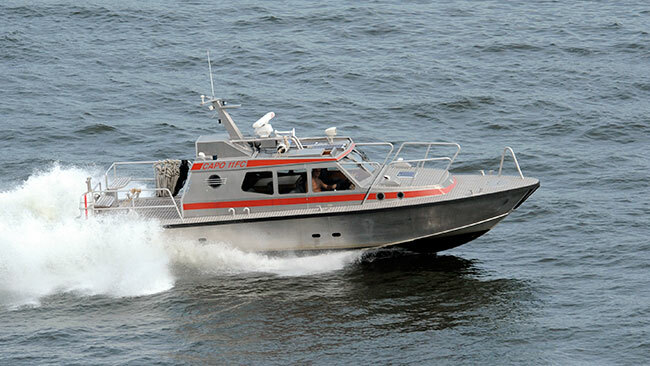 M/S Felicia is an aluminium boat with water jet propulsion system. OAL is 11 m, and the maximum horsepower is 750 hp. The cruising speed of the boat is 30 knots. There is a water closet in the boat for passengers. Maximum number of people on board: 12.